Buying a car is one of the most expensive investment of your life. It is indeed a moment of pride when you buy a new car but going for used cars surely makes a financial sense as slightly used cars are the best options as they are not worn out as you think. When people imagined buying a used car, what they think of is a chipped-off clunker amidst other junks in an auto lot and with a plaque “For Sale” on the hood. However, it's not like this. 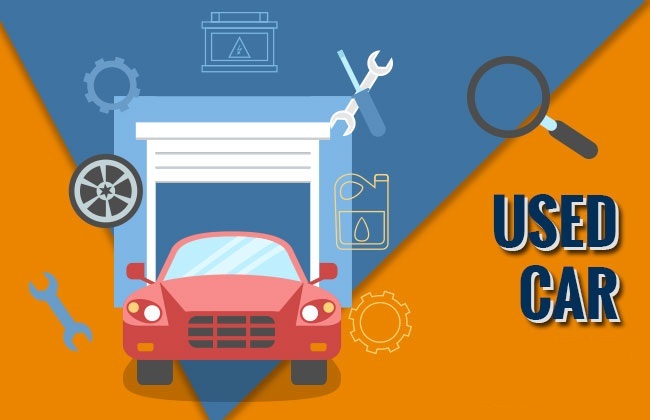 Sure, it's not all greens out there but many used car centers are certified with authentic and certified second-hand vehicles, that look like new and in a tip-top condition, no rusted rims, no chipped-off paints. Anyone who like to manage their finances responsibly and properly, buying a new car seems to be an unnecessary expense for them. Of course, there are many deals and bargains out in the market for brand-new cars, but it's just not the price tag that makes a new car a depreciable expense. Associated fees, additional costs, premium features cost pile up to the thousand and million of bucks over first few years of the new car ownership. Slightly used car, on the other hand, which has covered under 30,000 miles, can you keep your budget in control without sacrificing any quality. Some of the benefits of buying a second-hand car (almost in a new condition) over a brand new drive are listed below. It's a common saying that a new car immediately sheds off a value of thousands of bucks, the moment your odometer crosses a certain mile limit. That's why a pre-owned car is better bargain as it has already loses its money value and you can buy a used Porsche base model for the price of a Honda car. As per the research, a car loses around P 300 K after few years, so what would you prefer to be, the original buyer who has got hit by P200-300K or the second buyer who saves that much? Car is a depreciating asset and it loses its value over the time. So, if you are getting a better deal in used car, why not go for it? If you buy a car at the dealership, you are definitely going to be charged with additional costs like taxes, advertising fees, processing and preparation fees, which can easily pile up to hundreds of pesos. If you buy a used car from a private seller, you won't owe any sales tax at all. Nadaaa!! This is the oldest trick to install additional features in a brand new car that add no value to the ownership of the vehicle. A new car can be found with many useless premium features like DRLs, Heated Seats, paddle shifters, protective film. ANd second-hand buyers can easily find these add-ons for a much lower price from an after-market dealer and anyways, these features don't add a dime to your car's resale value. This is an advantage for the second-hand buyers as they won’t end up paying extra dimes for these features. Insurance rates are also not left behind with the ageing of a car and they tend to be less expensive in case of a used car. With a little pre-buying research can save you from the insurance sticker shock, regardless of any vehicle you opt. Gone are the days when used cars meant worn-out ones. There are ample of options in the used car segment that are in a good-condition. So, next time, when you go for a brand new car, think about your hard-earned money which you can save by buying a slightly used car.